Radha lives in R T Nagar. With her office located in Koramangala, she has to travel around 15 kilometres every day. Without convenient bus connectivity, she had had to resort to autos or cabs. When her neighbour who also commutes to Koramangala everyday, offered a shared ride, Radha was only too happy. A small solution to the enormous traffic on road during peak hours, the concept of cab sharing has picked up in Bangalore. There are also many mobile apps and websites to help people find like-minded travellers on the same route. “I remember going to Goa once from Bangalore when flight ticket had a discounted rate of Rs. 900 only, but the cab to Bangalore Airport charged me Rs. 1,000 which was ridiculous.” says Setu Saurabh, an IIM Ahmedabad graduate. He went on to co-found RideShare.co, a website that helps find carpool partners. Saurabh shares, “I thought there must be so many people going to airport at any time, so I started using a facebook group Airport Cab Sharing Bangalore and almost every time I have traveled at half or one third of the meter cost, which is amazing”. Well, when there are facilities to share cabs, why isn’t it happening on a larger scale? The size of the carpool network and security concerns seem to be the issues. There are some facebook groups like Carpool and Rideshare Bangalore and Airport Cab Sharing Bangalore where you can post, search and communicate with other people who are doing carpooling. There are online portals which will directly connect you to the facebook and linkedin profile of the commuters. This can help the individuals to establish trust with the co-traveller. Rideshare, Commute Easy, Carpooling, Ridingo, Carpooladda, BTIS, Pool My Car and Taxeeta are the websites which are trying to help people with carpooling. The Android-based mobile applications available in India are also available: Togethr, Carma, Lets Drive Along, Pool circle, Ridingo, Zinghopper and RideAlly. Quite a few of these are actively operating in Bangalore. Commute Easy is an app that creates a custom page for a company where an employee can log in to check on fellow employees coming from the same direction. This allows flexibility, creating “clusters” of 20 or more employees travelling in the same direction, so if an employee is late by 15 minutes and misses his regular carpool, he can always carpool with another one from the company which also makes the carpool model more flexible and safe too since all of them work in the same company. The app charges Rs 4-5 a person per month for the service to a company. Zinghopper is a website which uses a Facebook login to allow people to create their account. This ensures that the sign-ups are “genuine”. It also confirms a user’s corporate affiliation with a simple email verification of their official email ID. the commuter can message users with any question through the onsite messaging system. In Pool Circle, a user logs on and enters a location and a destination; she or he gets the profile of one or more drivers heading in the same direction. The user has to click the accept button on the most convenient option and a message is delivered to the driver of the vehicle. The driver then sends backs a confirmation. The user is given real-time updates on his or her pickup vehicle on a map of the route. Since the entire deal is on record and updated in real time, it makes it a secure platform. In RidingO application, the car owner and user are geo-tracked and the owner will send a missed call to a hotline number to indicate that he is leaving home. This will immediately be shared with other users living around the same area and moving on the same direction or destination, using geocodes of their locations. The users will then receive calls from the company, alerted about the car owner and his car details for the ride. ‘Let’s Drive Along’ app allows office goers to have a flexible set of carpool buddies. Here, interested commuters need to go to the web, register for free, update their profile, their route from home location to office location and then can search profiles of others residing and working in close by locations. and subscription/usage based pricing for customers. Offering a solution that uses the latest technology to improve effectiveness in car-pooling. Akansha Minz, a post-graduate in Applied Economics from Bangalore University, recently completed her dissertation on Carpooling among working professionals who found carpooling as one of the best transportation alternative in Bangalore. In her research findings, Akanksha found that majority of carpoolers don’t face any problem while carpooling. The dissertation says Bangalore has a huge percentage of existing carpoolers as well as potential carpoolers. Her findings also says that, most of the IT professionals in Bangalore have similar office timings so they are availing the facility without much difficulty. Single men or single women do not get carpooling partners – especially females do not get female partners. The researcher also came to know about the information that, many of the car owners do not prefer sharing the fuel cost with the carpooler partners – they rather prefer rotating cars every next day when the partner also has a car. It’s probably easier to practice safe carpooling when you’re doing it with neighbors or colleagues. There is a sense of security knowing that you already have a relationship with the person so there is less of a risk than driving with a stranger. There are some tips that could be useful when you are car-pooling with a stranger. Meet your car-pooling partners in a public place prior to traveling together, if possible. Avoid giving out too much personal information to strangers. Give friends or family the name and details of people you are travelling with and let them know your schedule. Make sure you see each other’s identification like student card or driving license so you know that you’re travelling with the right person. You are under no obligation to go ahead with any car-share arrangement. If you have any doubts about your travelling companion, for any reason, then you should not travel with them. Avoid exchanging home addresses with your travelling companion before you completely trust them. If you are the car driver, and if you are particular about anything, share it with your traveller (No talking on cellphone, no talking while driving, no music etc). No point in tolerating a behaviour that makes you uncomfortable. If you are travelling in someone else’s car, be there on the spot ahead of time. It will save the risk of parking the car and waiting for you in the midst of packed road, for the driver. If it is someone else’s car, take care to see that you keep your surroundings and the car clean. Share the expense even if someone does not ask, or forgets to ask. Offer to drive if you know driving. Carpooling has a host of advantages including: reduced cost of travel, company during commute, reduced fuel consumption, less traffic on roads and parking problems and less hassle. If carpoolers get priority in parking and lane usage, like in developed countries, it could help in making carpooling an even more attractive option for commuters. 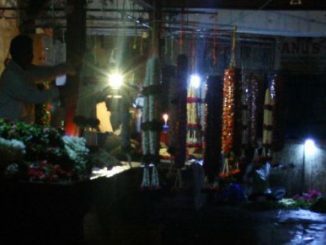 Underneath the crisis in Russell Market is a startling reality: politicians are supporting traders while BBMP wants to evict them. What’s going on? 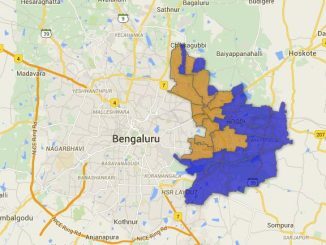 What does the new Urban Development minister, Rajyasabha MP from Karnataka, Venkaiah Naidu have in store for Bangalore? Read. Hi, I’m doctor by profession I drive from Bagegowda layout to HSR layout, I want to register with some of car pooling app but problem is while registering it’s asking for organisation email which I don’t have, please help me for this. Historically carpooling has not been successful because of challenges involved. In our app Quick Ride, we have addressed all these challenges with end to end automation. It is an up-to-date solution for the dynamic work timing needs of today. It works in real time to share a Car/Bike/Taxi ride with colleagues. Vikram, Thankyou for this blog. May I request you to add carEgiri (Gandhigiri Estyle Carpools) to your list. We are a Pune based startup very passionate about getting people home faster, and relaxed. We have launched carEgiri Android based app for Bangalore folks, exclusively for corporate employees. Check out http://www.caregiri.com. Very soon we will be launching other apps too. Will keep you posted. Thanks Vikram and Citizen Matters team for doing research on car pool and sharing many options for sharing rides. With so many options and media support, Im optimistic that carpool and shared taxi will grow much bigger in near future.